Italian styling, solid construction and plenty of storage space adds up to the right selection for your bathroom. 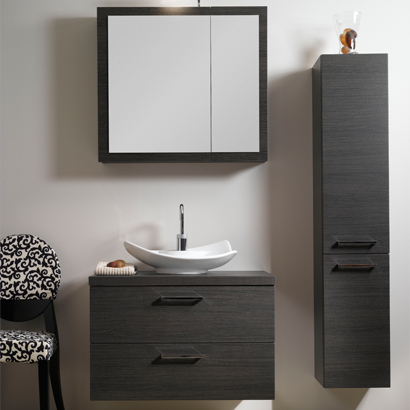 This vanity set is available in waterproof Glossy White, Wenge and Gray oak finishes. The flowing lines of the raised sink top a two drawer cabinet, made to last thanks to soft close drawer runners. 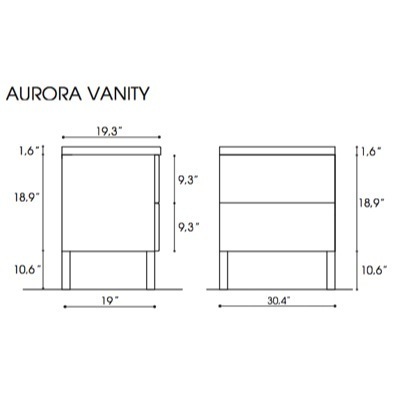 A two shelf medicine cabinet is enhanced by offset mirrored doors that resist scratches and corrosion. Imported from Italy. 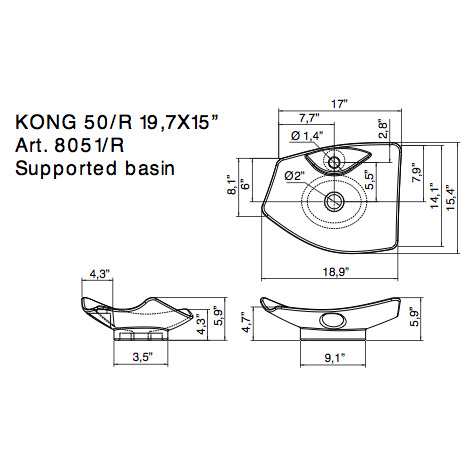 Width: 30.9" Depth: 5.7" Height: 27.7"
Basin Depth: 4.3" Basin Width: 14.1" Basin Length: 18.9"
Overall Width: 30.4" Overall Depth: 18.9" Overall Height: 18.9"